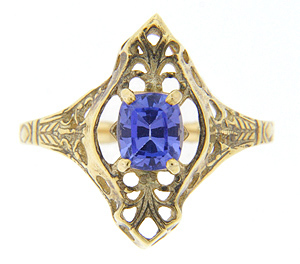 A vibrant 1 carat tanzanite is set in this 14K yellow gold antique style ring. 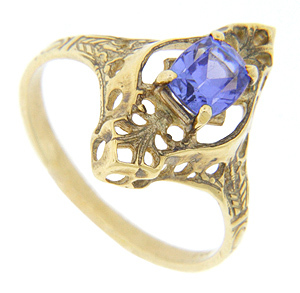 Ornamental engraving decorates the ring’s shoulders and a pierced openwork design surrounds the central stone. 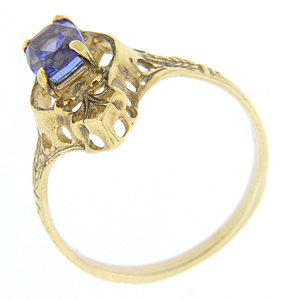 The ring measures 18mm in width. Size: 8. 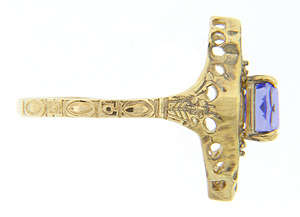 We can resize.